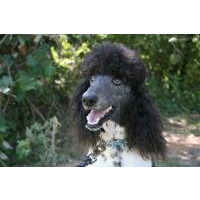 Our Gents are offered at stud to approved Belle's with current eye exams and OFA'S all of our boys are also PRA clear. We offer several ..
Toy Poodle Stud Service Only Max is 4 lb. Solid Apricot Stud - wonderful temperament, well socialized, home raised. Contact me about stud serv.. I have a young AKC certified Golden Retriever who will be a year old in March 2019 to stud. He is very smart and picks up on things fast. He is&n..
Jase is a AKC, chocolate, American lab. Family raised, very sweet, loving, and athletic stud. 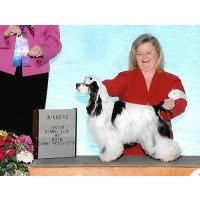 Please call or e-mail me using the yel..
Jase Hunter: AKC, family raised, very sweet, loving and athletic stud. Please call or e-mail me using the yellow highlighted e-mail l..
AKC Bichon Frise - Stud Service "CURLY" Beautiful Bichon with all white silky fur. 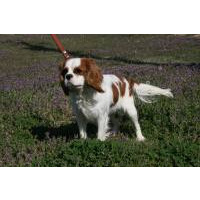 Black nose, lips, eyelids and paw pads, dark brown ey..
Cavalier King Charles Spaniel at stud in Tx AKC Blenheim Cavalier King Charles Spaniel standing for stud. Proven breeder. Weighs 16 lb. Both of ..
AKC Full European Black Doberman at Stud in Texas Tyson is an AKC black and rust full European male Doberman born 6.9.17. 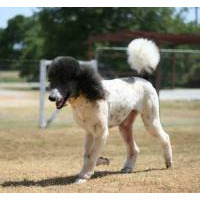 He is standing for stu..
Black and White Parti Standard Poodle at Stud in Texas AKC/UKC registered black and white parti male standard poodle born 4/23/16 standing at st..
Toby is a F1 GD and lives in Pinole CA. Toby was born on Nov. 4th 2016. Friendly and great nature. Has championed two litters thus far..
Young, healty, intelligent, friendly Golden Retriever male. Fully AKC certified, pedigree available upon request. No medical problems, full vaccinatio..
LOVE IS IN THE AIR. CALL US FOR YOUR STUD SERVICE!!! WELCOME TO ELLIOTT'S BULLBABIES. 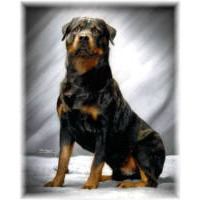 ​MEET OUR STUDS OPEN HOUSE WEEKEND APRIL 28T..
Rottweiler Stud Service available in California WE HAVE SEVERAL DIFFERENT GENTLEMEN TO CHOOSE FROM FOR YOUR BREEDING PURPOSES CH Tornat..
Jack Russell Terrier Stud Service Proven studs available. Please contact me for more information. 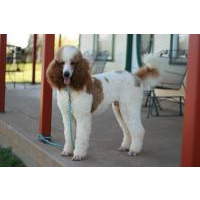 One hour north of Pittsburgh, one hour south..
Red and White Parti Standard Poodle at Stud in Texas CKC red and white parti standard poodle born 3/22/17 standing for stud service. 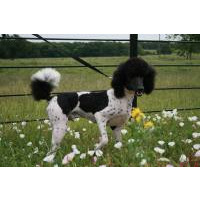 He is ..
Black and White Parti Standard Poodle at Stud in Texas AKC Parti poodle, Bubby, he is 25 tall 67 lbs. 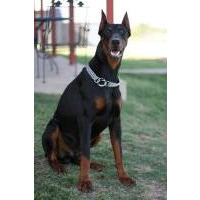 carries himself very proudly, his ta..
Doberman Pinscher Stud Service AKC registered males, fee $500.. For more info call 818-675-1080 phone calls only, Serious Callers Only. Be su..
At Stud: Bloodhounds Champion and quality working lines - Bred for temperament and conformation. OFA Certified. Available to proven females only. Pl..